Cashmere, cashmere and more cashmere—that’s a good thing! 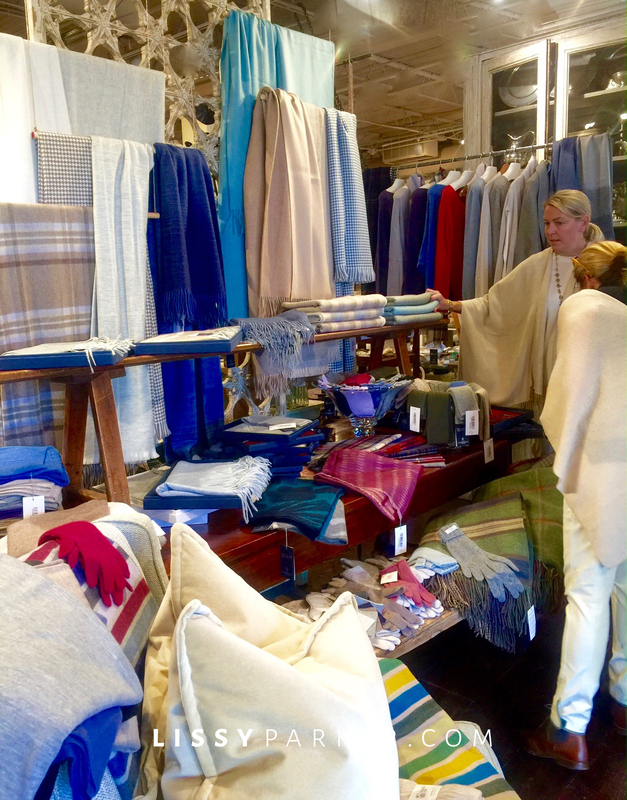 For beautiful Scottish cashmere stop at Erika Reade in Atlanta for Johnstons of Elgin clothing and accessories. There are amazing two-sided scarves, ponchos, wraps in every weight for every climate. I love layering the light weight ones just to break that chill in the fall and winter air. The cashmere lace scarves are lovely and the cable knit gloves are stunning and toasty warm. I could use a few for my sunset golf cart karaoke cocktail rides. I bought one of the wool throws for my bedroom last year and use it all of the time. It looks great on the back of a chair of sofa too. Think about that special mom or grandmother, too—what a wonderful Christmas surprise! I’m crushing on this blue and white scarf and the finger gloves. There is such a great choice of scarves and wraps that it is hard for a girl to decide. Warm gloves and lacy scarves for Christmas … yes, please. These two sided throws would be stunners anywhere. Blue and white wool throws—one of these came home with me. All photos by Lissy Parker for lissyparker.com. You are welcome to ‘borrow’ my photos—just credit the source please. Holiday Shopping Early This Year! I will take that blue gingham check one. Yes please!